Apple has sprung a massive AR following since the announcement of their ARKit, with users waiting to see what exactly the tech giant will do next. 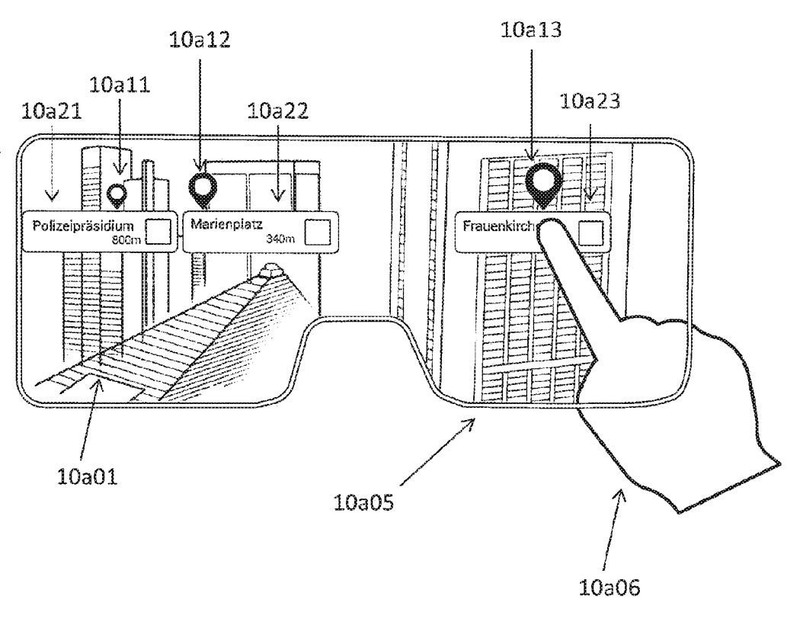 Now, thanks to a patent application published today, we might have an idea of what's coming: augmented reality glasses. The rumor that AR glasses are coming to Apple has been flying around for some time now. This patent only reveals the early musings of what Apple feels they could do, but it's certainly interesting to get a glimpse into what could be the future of Apple AR. News of Apple AR has only come about recently thanks to Apple's acquisition of Metaio, an AR tech company with previous experience including "Thermal Touch" and "AR Interface for Wearables" dating back to 2015. It was from this acquisition that ARKit sprung, which wouldn't make it surprising for AR glasses to be created out of the partnership as well. This embodiment is particularly useful when using a head-mounted display comprising the camera and the screen. For example, the head-mounted display is a video-see-through head-mounted display (HMD). It is typically not possible for the user to touch the head-mounted screen in a manner like a touchscreen. However, the camera that captures an image of the real environment may also be used to detect image positions of the user's finger in the image. The image positions of the user's finger could be equivalent to touching points touched by the user's finger on the touchscreen. The patent application states that the company feels using smartphones for AR is effective, but it can be an inconvenience as screens are small and devices sometimes have limited input capabilities. It also shows how a user can tap and navigate through things like points of interest using only their hand in front of them, without having to touch a screen. They say that the human eye will be a "capture device, like a phone camera would be but more clear and catered to the needs of the user. While nothing is set in stone about whether we will actually see Apple's AR glasses, with the company always doing everything they can to stay at the top of the tech world, it's likely we'll eventually see something sooner rather than later.